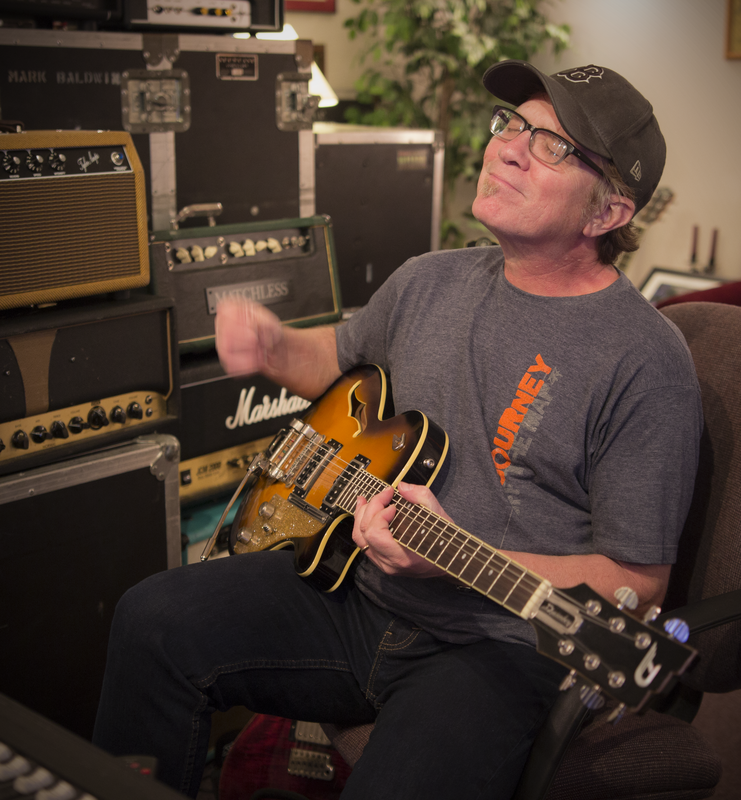 Mark Baldwin is an in-demand studio musician and producer, solidly established in the ever-changing Nashville music scene. Mark was born and raised in Japan, the son of Presbyterian missionaries. An early interest in music led to classical guitar lessons in junior high, and eventually tours of Japan with a trio that had a decidedly different sound. After living in Boston and earning a degree from Berklee College of Music, Mark got married and moved to Nashville in 1982. He promptly was hired as the guitar player and background singer for Amy Grant’s Age to Age tour. After subsequent tours with other artist, and three-year star songwriter positions at both Lorenz Creative Services and Word, Inc., Mark pursued work in the competitive Nashville studio world. Credits include recordings and/or performances with Stevie Wonder, Ce Ce Winnans, Whitney Houston, James Ingram, Michael W. Smith, Amy Grant, Kirk Franklin, FFH, Yolanda Adams, Take Six, Twila Paris, Charlie Peacock, Point of Grace, Steven Curtis Chapman, Four Him, First Call, Steve Green, Carman, and Wayne Watson. He’s also recorded regularly with CNN-TBS. In February, 2002, Mark was asked to be part of Michael Omartian’s band, playing with numerous Christian artists for a special televised Gospel Music Association Concert at the White House for President and Mrs. Bush. Production credits include artists Kathy Troccoli (‘Love Has A Name’), Bryan Duncan (‘Joyride’), and Helen Baylor (‘My Everything’). 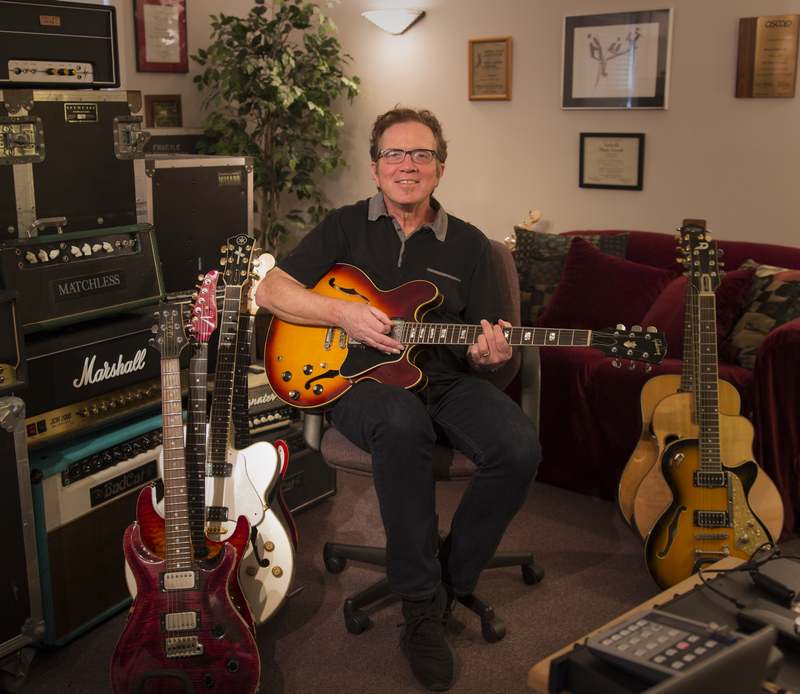 For many years, Mark has played guitar, along with 15 other high-caliber studio players, in Nashville’s premier high-energy R & B / Funk band, “The Smoking Section,” playing the songs of Earth, Wind, & Fire; Tower of Power; Rufus & Chaka Khan; Al Jarreau; and all the funky greats. Dove Award Nomination, Song of the Year – ‘My Soul Desire,’ recorded by Deniece Williams, written by Mark Baldwin and Russ Hollingsworth. Nashville Music Award Nomination, Instrumental Album – ‘Guitar Winterlude,’ written and produced by Mark Baldwin.